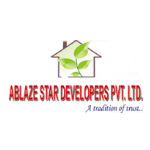 Ablazestar Developers Pvt. Ltd., leading Real Estate Company from Lucknow. We offers the most desired residential ,commercial space at ideal locations for your dream home or office in a peaceful environment, in Lucknow at affordable costsTo be highly professional in all our deals and thus, achieve customer delight. Please update on website. "To redefine and elevate the standards of services, personal morals, etiquettes , business environment and moral values, to make every contact with an enjoyabl and Satisfying interaction.